Real Madrid have criticised Uefa president Michel Platini for suggesting their forward Cristiano Ronaldo should not win the Ballon d'Or. The Portugal skipper has scored 48 goals in 45 matches in all competitions for Carlo Ancelotti's side this year - up to Saturday's trip to Malaga. As well as the Champions League, he helped Madrid win the Spanish Copa Del Rey and Uefa Super Cup last season and has also claimed a host of individual awards. But former France midfielder Platini said he believed that a "world champion" deserved to win the Ballon d'Or, which will be announced on 12 January in Zurich. Six Germany players - Mario Gotze, Toni Kroos, Philipp Lahm, Thomas Muller, Manuel Neuer and Bastian Schweinsteiger - have been named in the 23-man shortlist. "We are surprised at the repeated declarations regarding his personal preferences over the choice of the winner of the Ballon d'Or, particularly given that he is the head of European football's principal body, where our understanding is that the strictest impartiality should prevail," said a Madrid statement released on Friday. 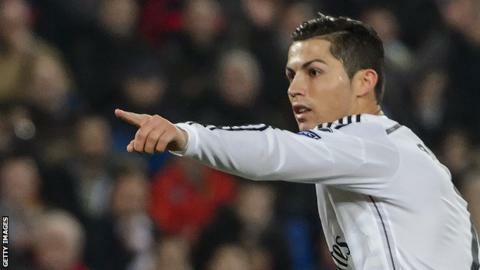 "We believe that Cristiano Ronaldo has without doubt had his best ever professional year individually. "It confirms his great moment of form and ensures that, more than ever, he is deserving of the Ballon d'Or."